Summer is a busy time for parents. Barbecues, summer camps, vacations, visitors and beach days ensure that Mom’s second and third jobs as live-in Uber driver and 24-hour concierge require tireless, enthusiastic attention. 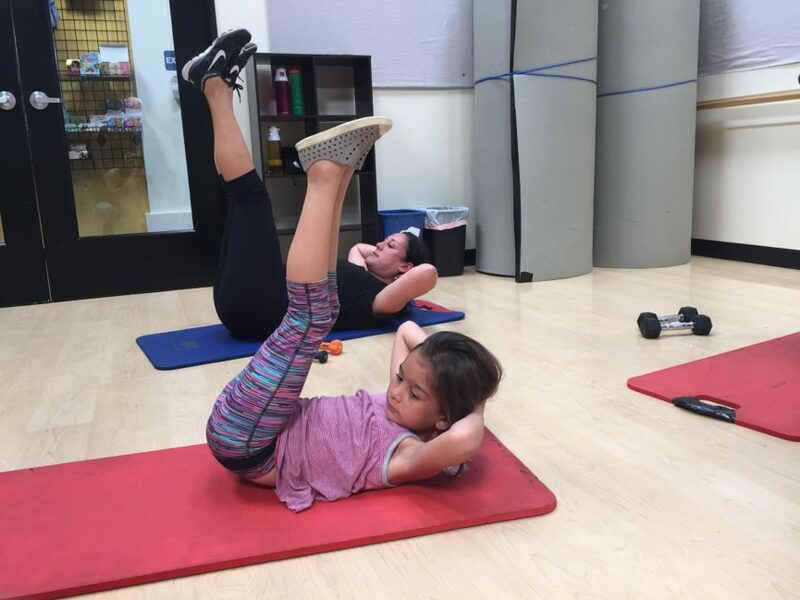 In my 25+ years as a fitness professional I have known many parents who neglect or defer their personal fitness routines to maximize quality time with their kids during the summer. While we cherish those precious experiences before our kids grow up and leave home, without consistent personal care, we risk not being fully present and engaged with our children in the present and long run. With school back in session, moms should have more time for themselves. completion”. In other words, without a game plan for your newly available time, it will be soaked up by undefined work. Before you fill up your fall schedule with new commitments, take time to incorporate these simple tips and make a promise to your personal well-being. These tips will help you create more QUALITY time in your life by prioritizing time to take care of your body, mind and spirit so you can be more present for your family and live a life without regrets. FAILING AT ALL OF YOUR ROLES. It’s like trying to pour 28 cups of water from a small pitcher – no one gets enough water. My six roles are: wife, mom and GiGi, thought leader, entrepreneur, writer and speaker. What are your five to six most important roles? Write them down and post them where you will see them every day. Visualize them, verbalize them and memorize them. They are your most important contributions to this life and are made possible only when you have energy, feel confident, are fully present and bring your best self to every moment. exercise is showing up; after the first few minutes of warm-up, it’s WAY easier to keep moving. Again, that’s momentum. It takes work to feel better. According to researchers at Cornell University, it is estimated that the average adult makes about 35,000 remotely conscious decisions a day. As the day progresses, your decision-making abilities become fatigued, just like muscles. Some days are worse than others, making it nearly impossible to decide to exercise if it’s not already in yourroutine. Effective exercise routines involve regular (ideally, daily) activity. Scheduling and attending regular group fitness classes helps establish and cement a positive routine, reducing your decision fatigue. Pick a class or session time, show up and let the instructors guide you. When you schedule classes in advance, it helps manage your time and priorities and reduces the stress of scheduling uncertainty. You’ll plan what to wear, where to be, and when to pick up and drop off kids. 4. Be Accountable, Be Real. anyways. But “next Monday” just doesn’t seem to roll around. I know this sounds crazy, right? Here’s what I mean; you may be thinking that EVERY TIME you come into your group fitness class you need to be working at 90-100 percent of your capacity. This is absolutely not true. You might think that everyone else in the class is working at 90-100 percent capacity, ACCEPT YOU. This is also ABSOLUTELY not true! you brush your teeth for 30 days and expect that to ensure that you’ll never get cavities and KNARLY bad breath and you “don’t have time” to brush your teeth for the next 30 days…..do I even need to describe the problem here? Sure, I’m tired some nights, but I STILL BRUSH MY TEETH. The same is true for exercise. Just do it! responsible, loving humans that give back to this world instead of sucking it dry. Most women, are caregivers whether we have children in our homes or not. However, to truly live for our families we must care for ourselves first. Our children and spouses and pets know when we are happy and when we are sad or indifferent. So take action to live inspired, healthy and happy. There is something to be said for the statement, “When Mom’s not happy, NOBODY’S happy!” Seek motivation and rewards through action and routine and leverage the encouragement and accountability of group fitness and the best coaches to raise your personal game. As parents, the highest goals for our children are for them to become the grandest versions of themselves and to be happy. We impart this most powerfully through our own example and NOT words. Be maniacal about prioritizing time to take care of your body, mind and spirit so you become the highest version of yourself and become the example for your kids. This is NOT a dress rehearsal, start today.